comments: i bought this record from jack strong the lead singer of several doo-wop groups. Clyde McPhatter joined Billy Ward and the Dominoes in 1950, but left to form the Drifters in 1953: Elvis recorded the Drifters' "Money Honey." Other McPhatter originals recorded by Elvis are "Money Honey" and "Without Love." The original recording was made for Atlantic Records on 12 November, 1953, and it was released in the first week of 1954. 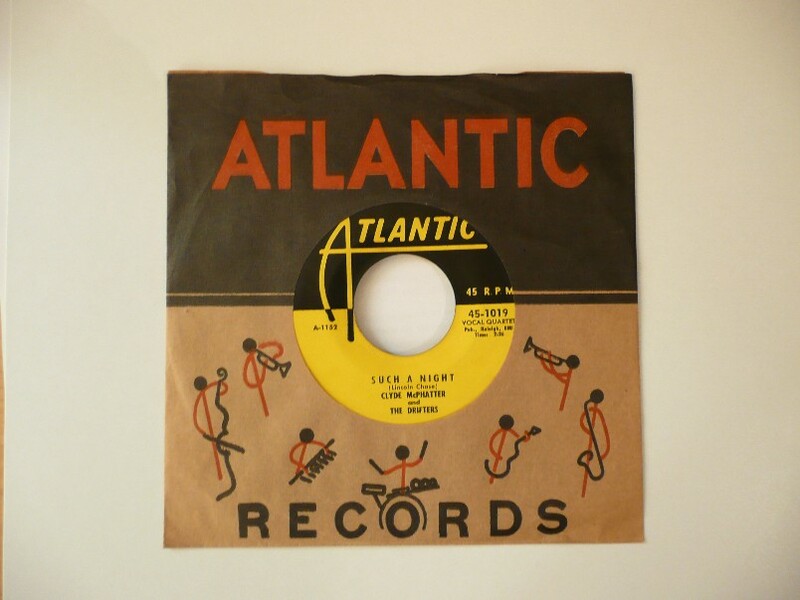 Numerous covers were made in 1954, but the best known is probably Johnny Ray's, which readhed the top of the UK charts (perhaps aided by the fact that the lyrics were considered suggestive and the record was therefore not allowed to be played by the BBC). McPhatter died on June 13, 1971; he was inducted into the Rock'n'Roll Hall of Fame in 1987.